A woman is so dedicated to fast food chain KFC she has its logo tattooed on her lip. 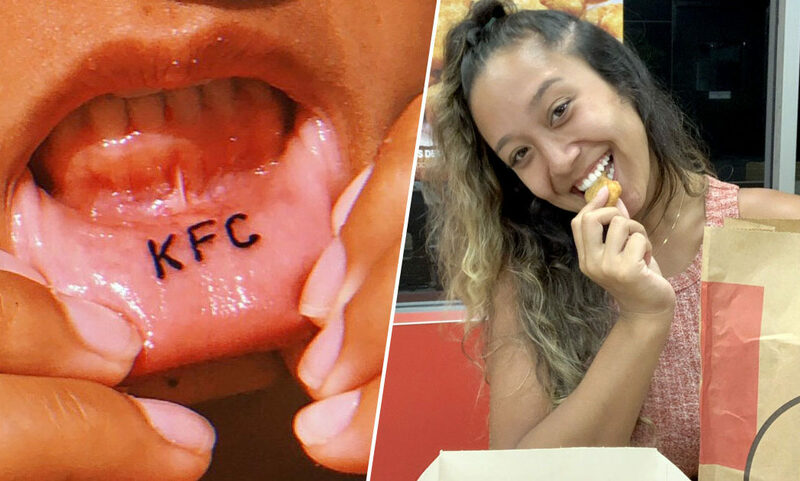 20-year-old Tabatha Andrade from Melbourne, Australia, loves KFC so much, she got the company’s name inked on the inside of her bottom lip. Wanting to get a tattoo of something ‘deeply meaningful and important’ to her, Tabatha couldn’t think of anything else that would fit the bill more. Tabatha got the tattoo while on holiday in November 2018, paying tribute to the food that makes her ‘happier than anything else in the world’. I was on holidays up in Queensland when the urge just suddenly came to me, and I decided to finally do it. 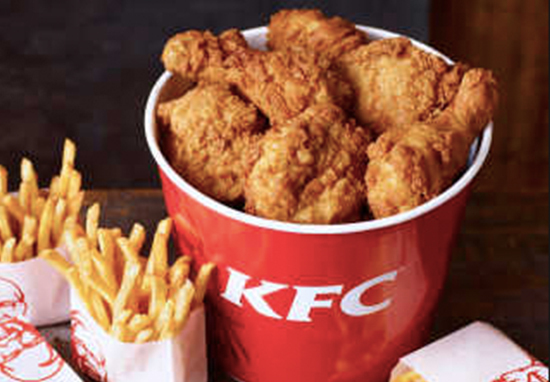 KFC is my favourite fast food. I go these at least once a week, if not more. It does mean a lot to me, so it seemed fitting to get this tattoo. I really love chicken. All my friends call me the chicken connoisseur. I even named my dog ‘nugget’, because I’m obsessed with chicken nuggets. The Australian, who works in banking, has one other tattoo which reads ‘family’. Tabatha has ‘absolutely no regrets’ about getting the tattoo explaining that she is very happy with it. It did not hurt at all. It’s my favourite tattoo. The tattoo artist laughed so hard when I told him what I wanted. “It didn’t hurt at all. It only took about two minutes. The 20-year-old now hopes the fried chicken company take notice of her dedication and give some of the Colonel’s finest. We will keep our fingers crossed for you Tabatha! I am pretty sure Tabatha would love to get her hands on KFC’s latest product, a candle which smells like their gravy. The company have previously released a chicken-scented candle, as well as a bath bomb that smelled like their signature five herbs and spices mixture.